“I was born here in Atlanta, GA and was the youngest of seven kids. My father was in the Air Force and taught me Judo, which I thought was really cool. When I grew up, I decided to follow in my father’s footsteps and join the military. When I came home from my service, I started using drugs and alcohol to deal with the painful memories, and that led to me becoming homeless. I stayed in the woods in a huge tent. We called it ‘Tent City.’ It felt like a scary nightmare that I wanted to get out of. There were about 50 families total in Tent City, made up of all races and ages. My tent had a generator that gave me television, a microwave, and even a little radio. More people started to move out there, and it wasn’t good for me. I felt like I had to get away from the temptation, so I moved further out into the woods. 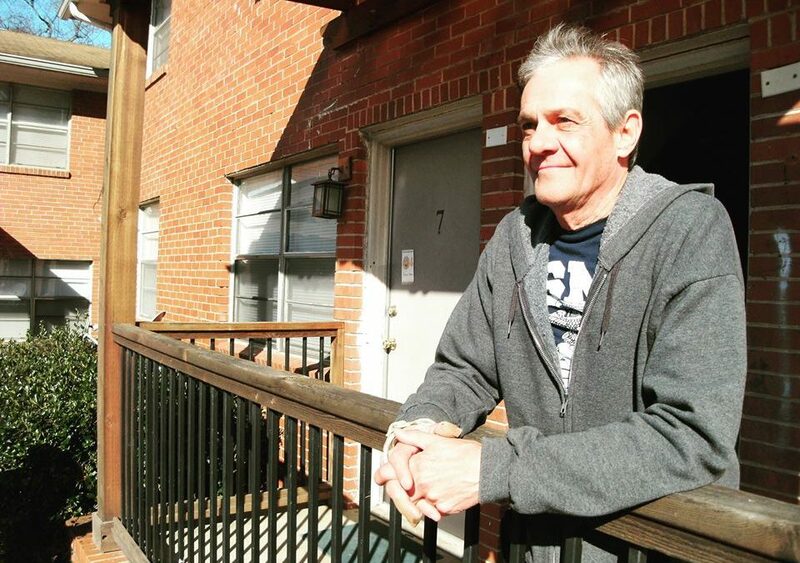 John Warren is our ‪#‎Homeless2Hopeful‬ story for the month of May. He spends his free time helping with landscaping with Homes of Light’s gardening project, attending church and enjoying a delicious meal at Midway Grill in EAV.